Every year, thousands of bicycle accidents occur in the United States resulting in an average of 700 deaths and 48,000 injuries. According to the Pedestrian and Bicycle Information Center, in 2015, 818 bicyclists were killed in crashes with motor vehicles, more than two people every day. As you can imagine, collisions of large vehicles with a small bicycle often result in catastrophic injuries. 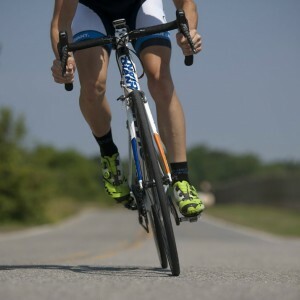 Another common cause for bicycle accidents is abrupt changes in the road’s surface such as potholes. These situations can be extremely dangerous for a cyclist, causing them to fall or lose control and veer into the path of a car. If you or someone in your family has been involved in a serious bicycle accident, the attorneys at Nash & Franciskato will help you obtain the compensation you deserve. In the Kansas City area and across Missouri, the Nash & Franciskato Law Firm will fight for your rights. Contact us today for a free, no-obligation evaluation of your case. What are some of the ways a bicycle can be hit by a car? Left cross is when a car is coming towards the bicyclist and makes a sudden left turn into the cyclist or in front of the cyclist. 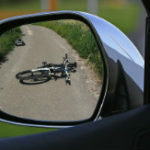 A left-cross in the blind spot occurs when the cyclist is riding to the right and behind a car going straight and a left-turning motorist sees a gap behind that car and quickly turns behind the car but into the path of a cyclist. Right hook is when a cyclist passes a slow-moving car on the right and the car suddenly turns right into the cyclist. Trailer whip effect occurs when a driver simply jerks or jolts his or her steering wheel too quickly causing the trailer behind the vehicle to shift violently. This can be deadly for a cyclist. Check out this article, How To Not Get Hit by Cars, for more information. Are bicycles considered a motor vehicle?